The San Francisco Police Commission has chosen its three finalists for chief. The commission has decided to keep the names confidential when it hands the list over to Mayor Ed Lee on Wednesday morning. 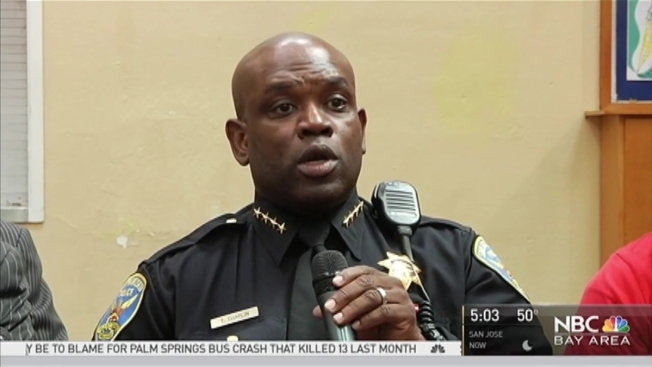 A source confirmed to NBC Bay Area that Acting Police Chief Toney Chaplin and Deputy Chief Denise Schmitt are on the list. San Francisco Police Commission President Suzy Loftus would not speculate on the names. But she did speak with NBC Bay Area late Tuesday night. The department needs a permanent chief since former chief Greg Suhr resigned in May. NBC Bay Area's Richard Faustino contributed to this report.